This takes some time to load once you have hit the play button....Please be patient....It will load. 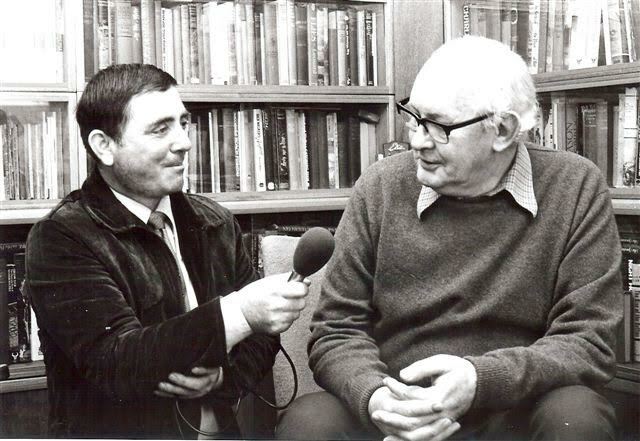 Permission for The American Carp Society's use of this interview given by Martin James at his BBC Lancashire Radio show, "At the Water's Edge" that aired throughout the late 1990's and into the early 2000's. 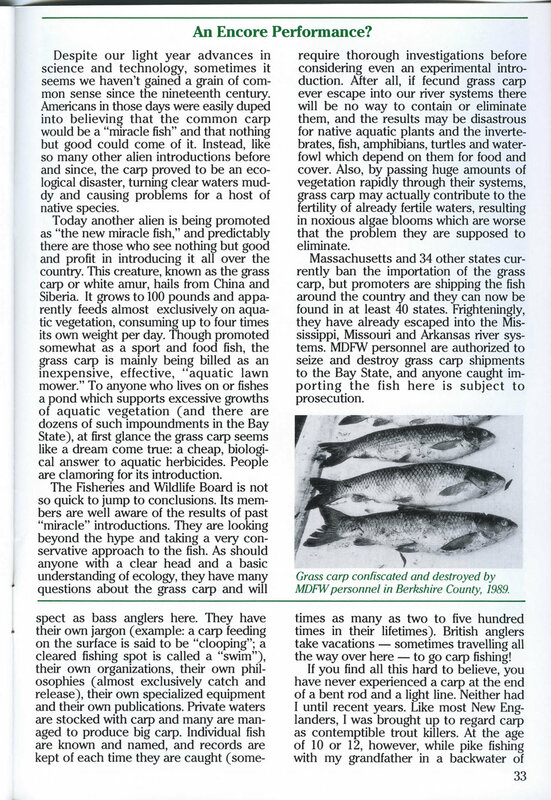 The American Carp Society has written an informative article on the natural and biological history of the Common Carp for the Massachusetts Division of Fisheries and Wildlife. The article will appear in the April 2018 edition of their esteemed MassWildLife Magazine. 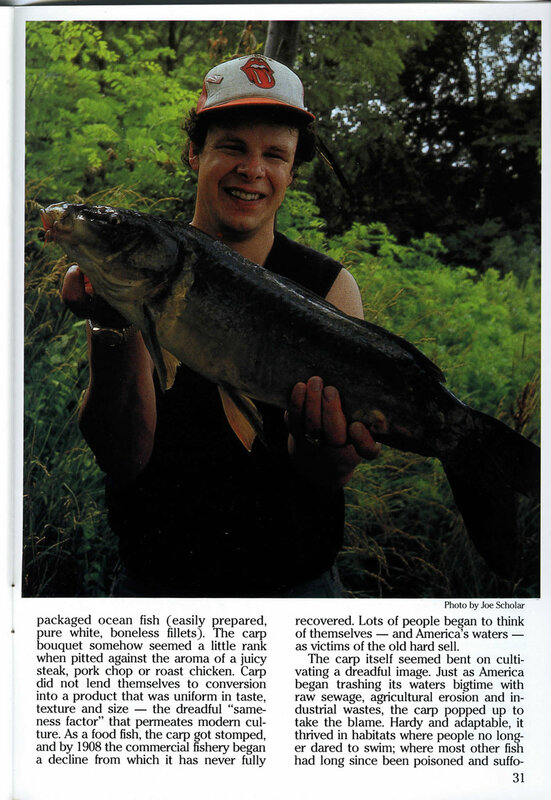 Please see below the only other Carp Fishing articles that have appeared in the MassWildLife Magazine; one in 1970 and the other in 1991. Really interesting perspectives from very differing time frames that are well worth the read. Both articles reproduced here with permission. Carp. On dry flies? Redington Ambassador KC Badger lives far from trout country, but that doesn't keep him from fishing. Follow along as he chases "trash fish" across urban Phoenix, and get ready to start tying dog food flies. This is a short video showing the progression of drawings of 'The Biggun' by American Carp Society Artist Lindsay Bouquillon. Tones supplied by the incredible David Gilmour from his Album "Rattle that Lock". 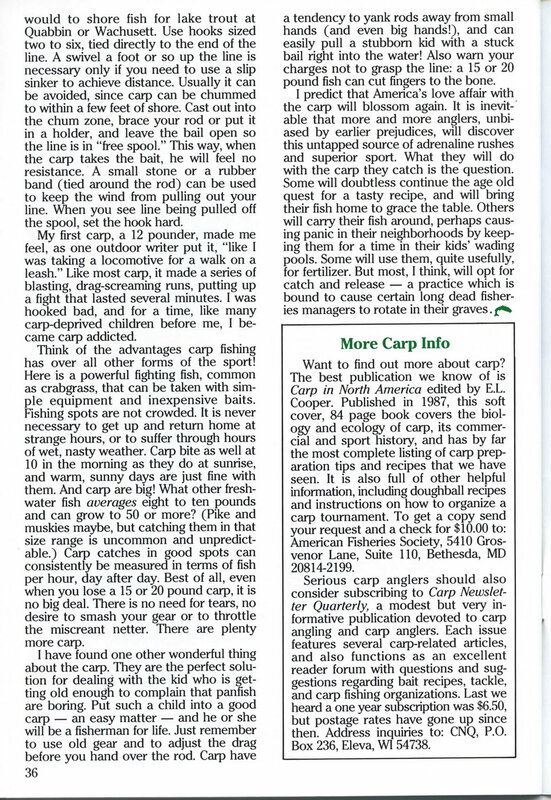 Here is a recent Interview with Al St. Cyr we did for the American Carper, 'American Born & Bred , an unbelievably talented Texas based angler and Carper. Al who won the American Carp Society's $250,000 prize in the 2006 Texas Carp Challenge tells us the story of how he personally got hooked on carp fishing. As many of you will already know we have been very fortunate to have support from across the pond by the great Subsurface Journal. Gareth Fareham is both the visionary and talent behind the publication that inspired so many of us here in the USA over the past 5 years. We are lucky enough to have Lindsay Bouquillon as the official American Carp Society artist and she has produced an incredible piece of Art capturing Gareth with one of his stunning fish as only she can. We have taken the process from rough sketch to finished masterpiece and paired the experience with the great David Gilmour for our members. Tench or Tinca tinca is another specie that was imported here by the US fish commission in the late 1870 as a food/sports fish and have mostly slipped under the radar since. Wayne is shown here with his very 1st US Tench capture. He says, "It only took me 26 years to check this one off of the old bucket list..." Ironically, after much searching over the years, he ended catching this fish in California, his home State after a chance conversation with a friend of a friend. The US Geological Survey page states: "This species was imported into North America from Germany by the U.S. Fish Commission in 1877 apparently for use as a food and sport fish (Baird 1879). The Commission apparently spent several years learning to culture tench, for it was not until well into the 1880s that the agency started to seriously distribute the species in the United States. The U.S. Fish Commission stocked tench into lakes and ponds in the Pacific states, including Idaho, Oregon, and Washington, in 1895 (Smith 1896). Additional introductions occurred in Washington when tench exhibited at the 1909 Worlds Fair, held in Seattle, were dumped into a large pond on the University of Washington campus. Some of these fish later were transferred to Lake Washington; the population eventually spread to Lake Union (Wydoski and Whitney 2003). Although most tench introductions were the result of intentional stockings, some introductions were the result of escape from holding facilities. 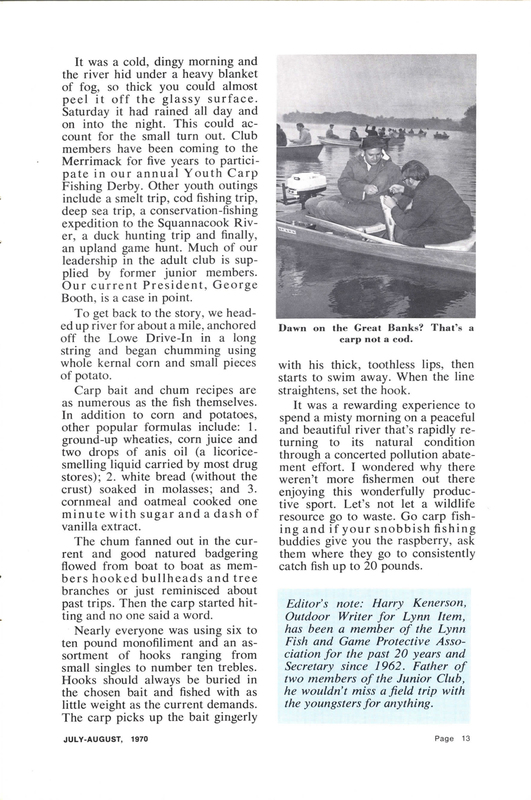 In 1889, many of the fish, including an estimated 25 tench, held in federal ponds in Washington, D.C., escaped into the Potomac River during a flood (McDonald 1893). However, tench had been introduced to the Potomac River prior to that date. For instance, Smiley (1889) recorded the taking of tench from that river during March 1887. Evermann and Kendall (1895) reported the escape of tench from the Neosho fish hatchery into Spring Branch near Neosho in southwestern Missouri. Baughman (1947) discussed the escape of tench into the Olentangy River of Ohio after the banks of an artificial lake collapsed in 1898. Schwartz (1964) stated that tench had escaped from commercial ponds into creeks in Maryland. Tench were first brought to California in 1922. At that time, specimens obtained in Italy were illegally released into a private reservoir near Half Moon Bay, San Mateo County; the species was later spread to other California waters by ranchers (Shapovalov 1944; Dill and Cordone 1997). The tench has been documented for 38 states. Baughman (1947) indicated that this species was established in California, Colorado, Idaho, Washington, and apparently Oregon; he also quoted information of previously breeding populations in Maryland. In a more recent work, Page and Burr (1991) considered it established in California, Colorado, Connecticut, and Washington, and possibly Delaware, Maryland, and New York. Courtenay et al. (1991) believed it to be established in California, Colorado, Connecticut, Idaho, and Washington. Dill and Cordone (1997) found evidence that the tench is still established in California, but described its distribution as very limited." More coming soon. We add often!